Kilcullen will be moved from the Naas Municipal District to Newbridge MD in the next local elections if the recommendations of the Local Electoral Boundary Committee are carried through, writes Brian Byrne. 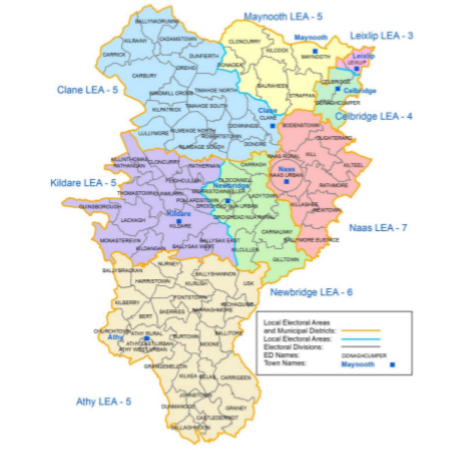 The Committee also recommends that there should be seven local electoral areas (LEAs) in the county rather than the existing five, to compensate for the growth in Kildare's population. The recommendation would mean that there would be six councillors representing Carnalway, Carragh, Droichead Nua Rural, Droichead Nua Urban, Gilltown, Kilcullen, Ladytown, Morristown Biller and Old Connell.